06/27/2014 (press release: casinowebscripts) // Oscar K.
CasinoWebScripts casino gaming developers announced today that they have launched a set of new and improved online casino products, including 15 top-quality video poker games, 5 new scratch card games and their latest dice game, Big or Small 3D. Furthermore, a spokesperson for CasinoWebScripts explained that the software developed by the company has been certified by iTech Labs as of March 24, 2014 and can be used to manage gaming operations for any real-money or crypto-currency based casino. The video poker games already provided by CasinoWebScripts during the previous years have been replaced with newer challenging titles, designed to meet the demands of any kind of casino enthusiast, from mass-market players to high rollers. Fifteen titles have been added to the company’s products catalog, and operators who want to buy casino games can now purchase these eye-catching, unique card games. The video poker versions created by the casino gaming developers at CasinoWebScripts include variants of Jacks or Better, Joker Wild, Deuces Wild, Kings or Better, or Anything’s Wild. The new set of scratch cards provided by CasinoWebScripts was especially designed for players who prefer great graphics and easy-to-play casino games, which do not require any skills. The titles offered by CasinoWebScripts as of June 2014 are: Red Riding Hood Adventures, Jungle Kingdom Scratch Party, Scratch Upon A Christmas, Double Diamonds and DJ Scratch Party. 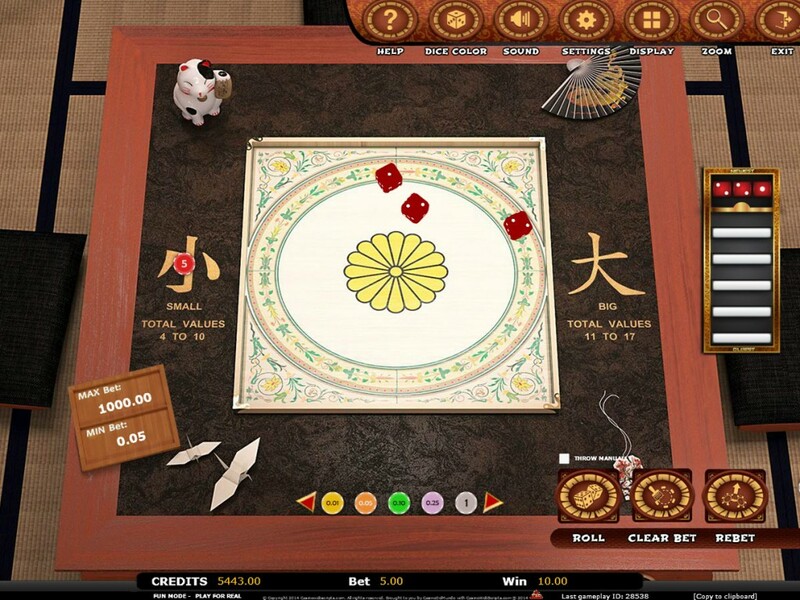 CasinoWebScripts casino gaming developers also announced the release of Big or Small 3D, a chinese themed dice game which can easily be played by any casino gamer. The game rules are extremely simple: players can bet on BIG (total sum of dices is 11-17) or SMALL (total sum of dices is 4-10), and if they guess correctly, they win 2x bet. Recent inside news reported that the company has improved the administrator back office panel for operators, who can now see many statistics, charts and generate PDF reports based on the activity of their casino. More than that, the company unveiled the titles of two upcoming games: “Penalty Challenge” football game and “Scatter Beach Party” 5 reel slot with re-spin feature. CasinoWebScripts is a casino entertainment industry leader, which focuses on creating personalized games for casino operators all around the world. The company’s no-monthly fees policy, vivid casino games and fast customer service have made it a favorite amongst gaming entrepreneurs. Amadeus Consulting Named Zero Waste Business of the Month by Eco-Cycle, Inc. Bitcoin Agents Add Liquidity to the Bitcoin Market with its 2nd Bitcoin ATM U.S. Customs May Be Ramping Up U.S.-Korea Free Trade Agreement Verifications Download the New Paradigm Life “Infinite Banking 101” Mobile App!